Preppy fashion favorite Blair Eadie of Atlantic-Pacific always knows how to put an interesting spin on classic wardrobe pieces, and her recent overalls look is no exception. With her glam cat-eye sunglasses, bright red pout, and perfect cotton candy bun, overalls and sneakers have never looked this polished! Eadie's look is perfect for a festive Memorial Day weekend outfit. 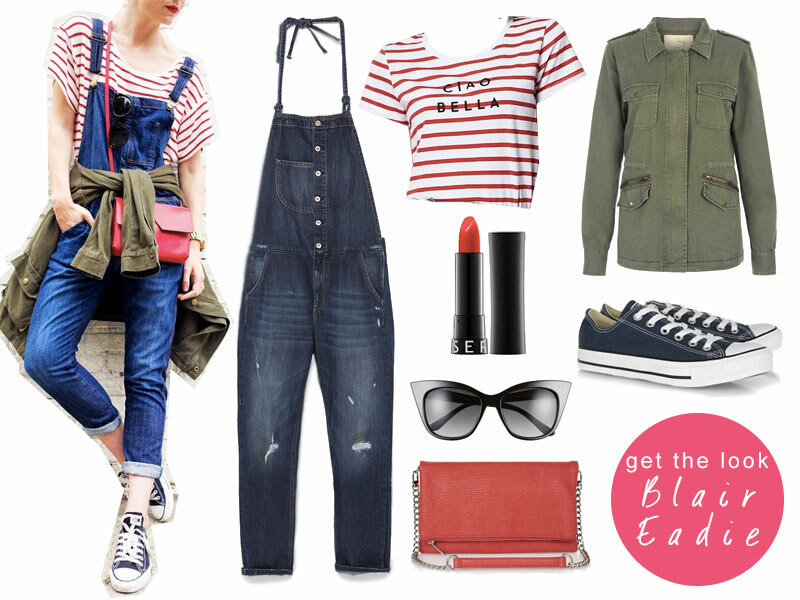 Test out the layered overalls look at a family picnic, evening movie under the stars, or a day at the lake.